Green Bay Packers running back Jamaal Williams had to leave Thursday's preseason game against the Pittsburgh Steelers with an ankle injury. 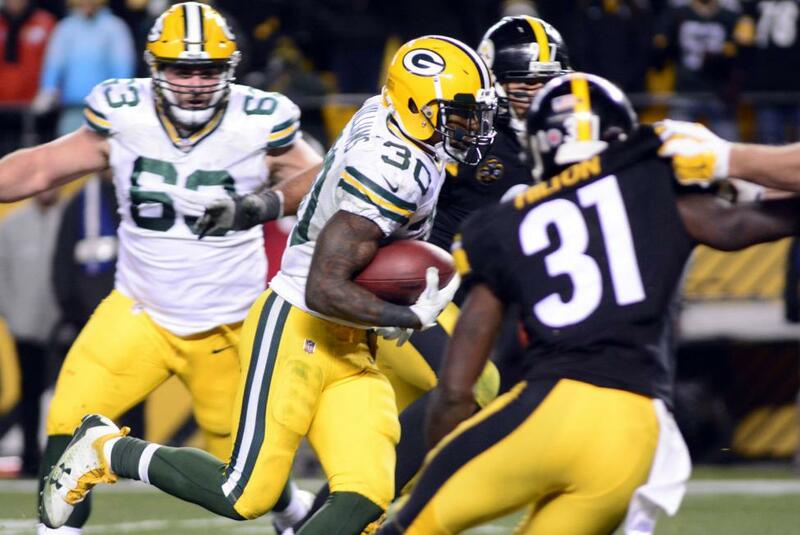 Green Bay's leading rusher a year ago, Williams appeared to escape serious injury. The NFL Network, citing a source, reported that Williams is dealing with a minor ankle sprain and should be "fine." [post_ads]Williams, among a cluster of players battling for the starting job in Green Bay's crowded backfield, downplayed the severity of the injury, telling reporters a defender twisted the ankle at the end of a run. The second-year running back had only two carries for two yards and added one reception for six yards in the Packers' 51-34 drubbing of the Steelers. He said he was unsure if he could have returned if it was a regular-season game. With running back Aaron Jones suspended for the first two games of the regular season for violating the league's policy on substance abuse, Williams and Ty Montgomery are the leading candidates to start in Week 1. The 6-foot, 213-pound Williams rushed for 556 yards and four touchdowns as a rookie last season. The fourth-round draft pick out of Brigham Young also had 25 receptions and a pair of scores. In 43 games at BYU, Williams rushed for 3,901 yards and 35 touchdowns in 43 games. He ran for 1,375 yards and 12 scores during his senior season.